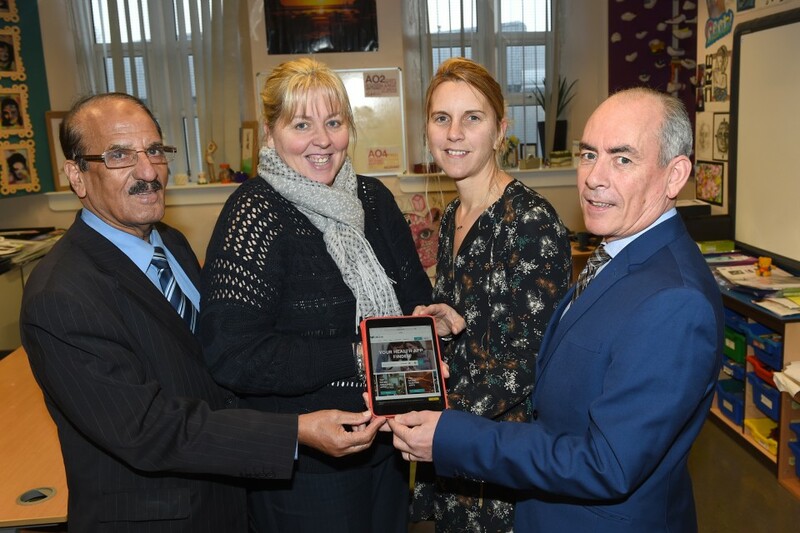 An exciting new digital programme for schools combining health apps with the national curriculum has launched at a Blackburn school this month. St Thomas’s Centre on Lambeth Street will now join the seven other schools across East Lancashire participating in the ‘Digital Healthy Schools’ scheme. The programme enables pupils to engage with mobile apps to help them manage their health. It has been designed in collaboration with teachers and students from across the country to join together national health and academic priorities, in an initiative where ‘safe’ health apps can be searched, compared, downloaded – and even recommended. Healthier Lancashire and South Cumbria, the Sustainability and Transformation Partnership (STP), and ORCHA (the Organisation for the Review of Care and Health Applications) are collaborating to bring the programme to the area. Through this programme, we are encouraging children to take a pro-active approach to their own health and to assist with their physical and psychological health needs. We’re seeing more and more health apps enter the market with more than 170,000 already active. This innovative programme provides a secure and assured environment for children to find and use the best apps on the market. We are very supportive of this digital programme. Healthcare apps are a valuable tool in taking care of health. Helping students engage with technology to manage their health is something that will be important for their future wellbeing.